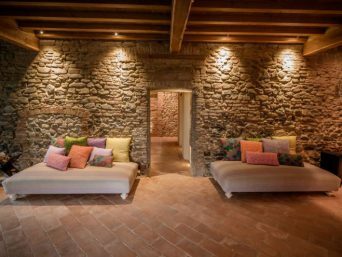 The R&B Casa Angiol d’Or is situated in the heart of the city, by the side of the Cathedral and few steps from the Baptistery, kept in one of the most beautiful Romanesque squares in Italy. 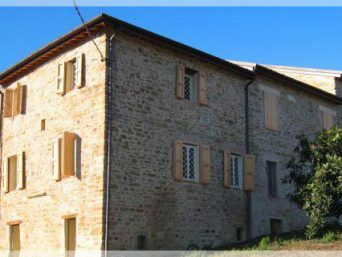 In a small and antique palazzo, on the first floor, there are two charming and cozy holiday apartments. Renovated in 2018, the apartments are ideal for an unforgettable holiday, where you can feel and enjoy the true taste of Parma, good food and good living. 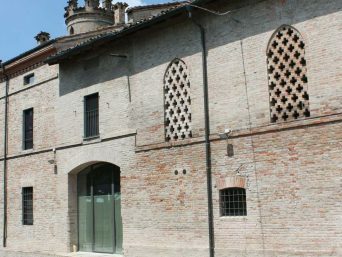 Furnished with antique furniture in a classic and typically Parmesan style at the Casa dell’Angiol d’Or you will live an experience as true citizens of Parma. 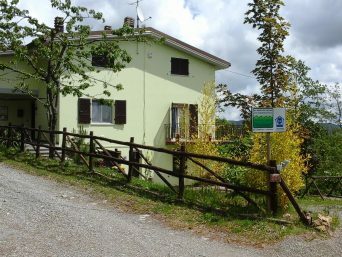 The apartment, “il Balcone” has a large entrance hall, a small equipped kitchen, a bathroom, a large living room with a sofa bed and a French window, a double bedroom with French doors. 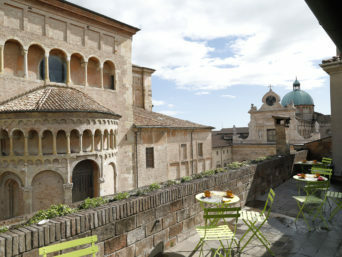 The French doors open onto a wonderful, long balcony overlooking the side of the Duomo, ideal for enjoying a coffee or an aperitif while admiring the magnificence of the cathedral. The apartment “le Logge”, very pleasant and fresh, has a large living room with a sofa bed, a double bedroom, a bathroom, a beautiful kitchen with a large window overlooking a beautiful and quiet courtyard with porch. La Casa Angiol d’Or is very close to the main city’s attractions. You can just walk and visit the center and then sit in a gourmand caffè, have a glance at the best boutiques, buy superb food in the most characteristic delicatessen and enjoy the best meal in one of the typical restaurants in town. The owners of the R & B Casa Angiol d’Or await you in their nearby restaurant, the Angiol d’Or, overlooking Piazza Duomo to savor the flavors of the products and typical dishes of our cuisine.